Have you ever made bread? I have made bread several times but in my mind it always seemed like a very long, arduous process. But maybe that’s because I somehow became the go-to roll maker for family events and always have to quadruple the recipe. And THAT, my friends, is a long arduous process. But this fast and easy bread recipe I got from my sister is so awesome. It’s super fast, super easy, and anyone who is intimidated by making bread can do this. Seriously, it’s as easy as making a peanut butter sandwich. So if you can do that, you can make this bread. How does it taste? Can something so quick and easy taste good? The answer is YES. 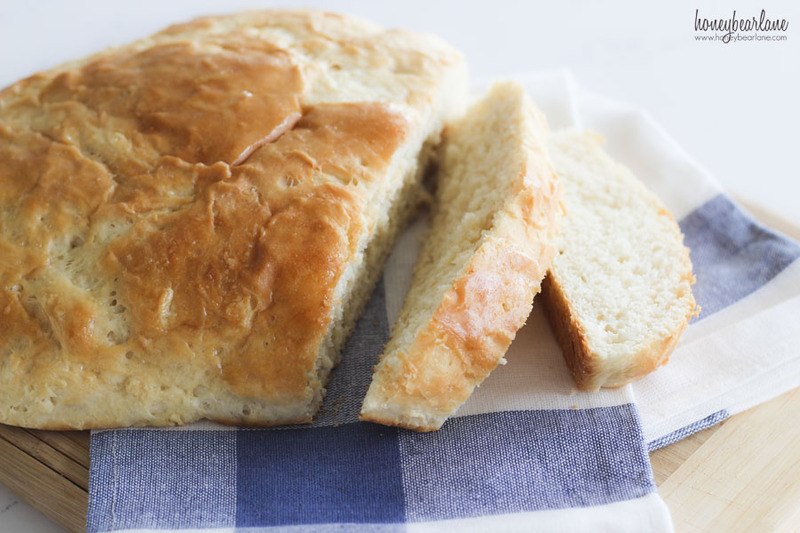 This bread is so delicious that we ate it all up in one day. Spread it with butter and jam and it’s like dessert. Or eat it hot out of the oven to warm your belly. It’s also super yummy as pizza dough. And throw some rosemary and parmesan in there and make focaccia! Activate the yeast by combining it with the warm water. Make sure the water is warm. Too cold, the yeast won't activate, too hot, it will kill the yeast. Give it at least 5 minutes. Mix up the rest of the ingredients except the flour. Add the yeast and then add the flour and combine it (I used a Kitchenaid with the bread attachment which made this even easier.) Knead the bread a little and then let it rise for 20 minutes or more until double. 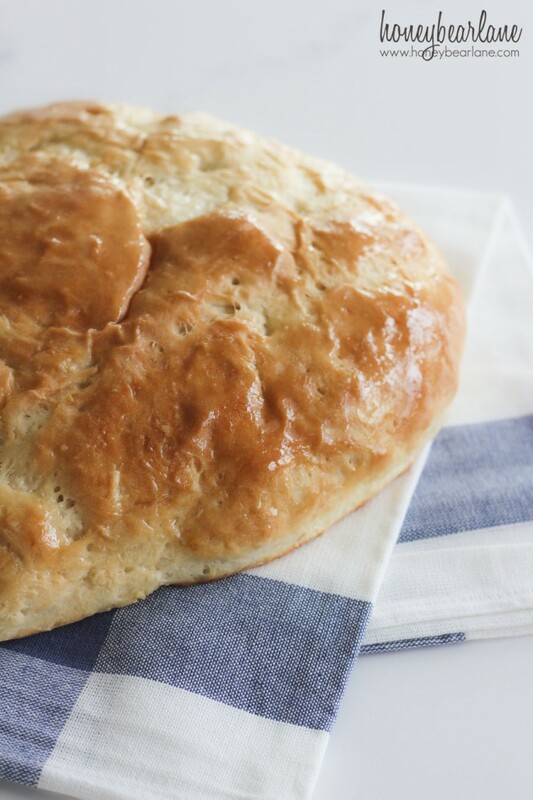 Turn it out on a greased cookie sheet and form it into a little bread loaf. Bake at 400 degrees for 15-18 minutes. Brush with melted butter when it's cooled a few minutes. I can’t wait to teach this recipe to my six year old because seriously, it’s so easy!! 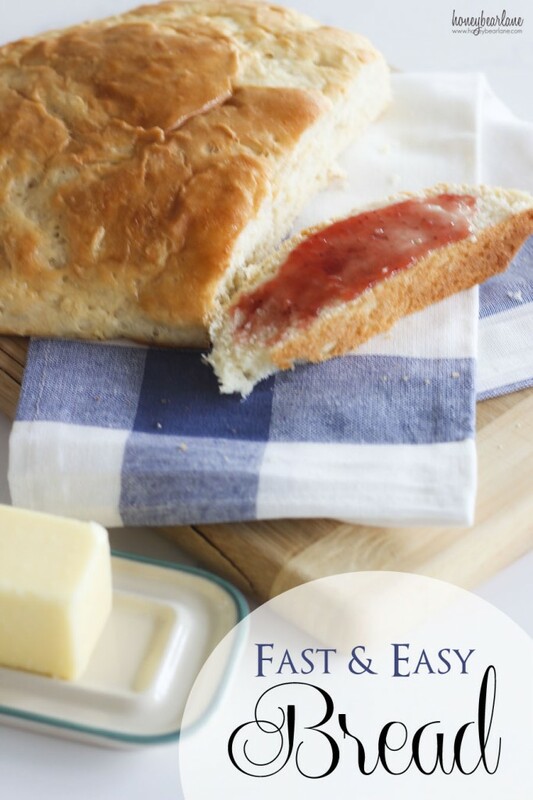 I feel like this is a recipe that should be a staple in everyone’s recipe box for anytime you want homemade bread, pizza, calzones, or whatever along those lines.